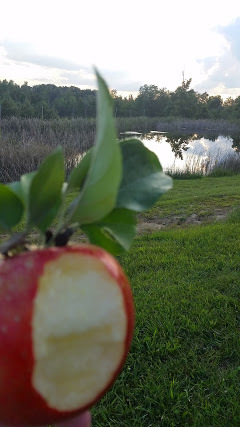 At Branstool Orchards we grow 37 different apple varieties on nine acres. We pride ourselves in producing unique and uncommon varieties such as Rubinette and Tsugaru, which are just two of our customer favorites. We also have great tasting newer varieties like Honeycrisp and Pinova, as well as old time favorites Grimes Golden and Winesap. Need pie apples? We can provide excellent pie apples like Jonathan and Idared. Browse the complete list and approximate ripening dates below. We love to combine our apples into the perfect blend of apple cider. Usually beginning at the end of peach season, our picking crew will make a fresh batch of unpasteurized cider twice a week. We provide peck boxes for picking peaches and they hold 10-15 pounds of fruit. 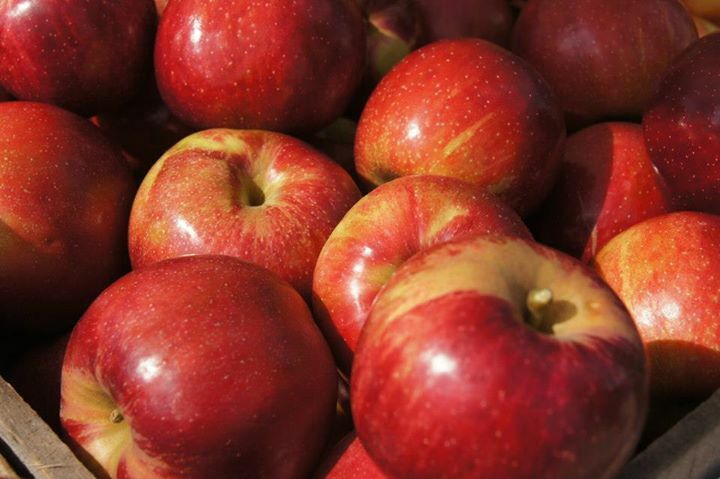 We provide bags for apples that hold about 10 pounds and another that holds about 20 pounds. Peaches and apples are $1.75 per pound and you must purchase at least $10 worth to pick your own or be charged the difference.